Doublefile ViburnumDeciduous shrub. Broadly rounded form to this medium size shrub. Its tiered horiz..
Naked Withrod ViburnumDeciduous shrub. Compact habit. Waxy green leaves with red margins turn rich b..
Burkwood ViburnumDeciduous shrub. Densely-branched, multi-stemmed habit. 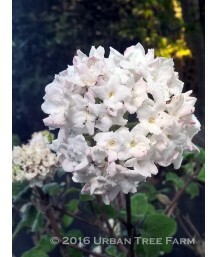 Spicy fragrant white flower..
Mohawk ViburnumDeciduous shrub. Densely-branched, multi-stemmed habit. Spicy fragrant white flowers ..
Korean Spice ViburnumDeciduous shrub. Slow-growing, upright, rounded form. Red buds open in late Mar.. 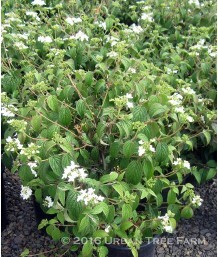 Dwarf Korean Spice ViburnumDeciduous shrub. Compact, slow-growing, and rounded form. Pink buds open .. Dwarf Korean Spice ViburnumDeciduous shrub. Pruned into a small, single trunk tree. 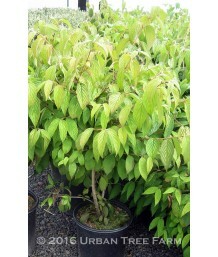 Compact, slow-gr..
Wayfaring Tree ViburnumDeciduous shrub. Compact, dense, upright, rounded, multi-stemmed habit. Non-..
Snowball BushDeciduous shrub. Fast growing. Densely rounded form with arching branches. Large medium.. 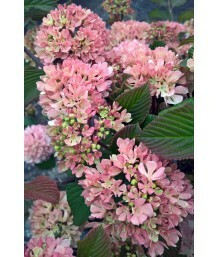 Pink Japanese SnowballDeciduous shrub. Moderate growth rate. Densely rounded form. 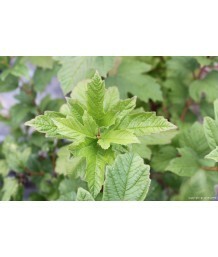 Medium-sized bron..
Doublefile ViburnumDeciduous shrub. Dense, upright habit of toothed, green leaves with deep veins. S..
Doublefile ViburnumDeciduous shrub. Dense, multi-stemmed form with distinctively tiered horizontal b..
American Cranberry BushDeciduous shrub. Compact but upright in habit when young and rounding with ag..
Judd ViburnumDeciduous shrub. Rounded habit. Dark green foliage turns burgundy to red in fall. Clust..